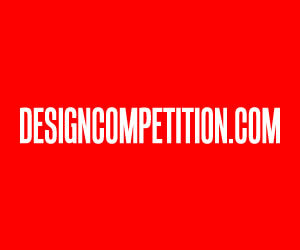 Would you like to get yourself, your company or brand published in Italian Design Magazines? This article focuses on interior design, lifestyle and architecture magazines published in Italy. 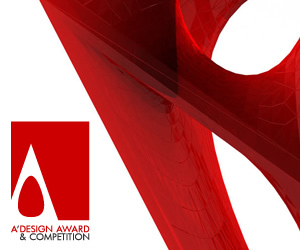 For a prime design award winners, we already contact them regarding our winners in furniture design, architecture and interior design categories but here are the magazines in case you would be interested to publish special stories. The Plan: is an architecture oriented magazine that covers also urban design, mostly publishes architectural projects but could also occasionally publish relevant interiors design projects. Building materials or new architecture technologies are also mentioned. Features English text. Each edition is about 125 pages. A good source for architects. AD: Architecture Digest (sometimes mistaken for Art Decor), is one of the most famous design magazines for interiors even though oriented more towards consumers it still features both concepts and realized designs. Features interiors, design and decorative objects, and on occasions architecture. Artworks and unique objects could be sent to their editors as well. Each edition is about 330 pages. Interni: One of the most prominent Italian magazines for interior design, and covers designs and articles regarding interiors, architecture, furniture design and other fields such as decorative items. Publishes both concept designs and realized projects. Oriented towards a design enthusiasts audience. Available also in English. Each edition is round 300 pages. Ottagono is a very prominent and important Italian magazine for Architecture and Design. Features highly design oriented content, architecture and interior projects with layouts, concepts and furniture designs also are mentioned and if it is design oriented could also mention other news. Oriented towards a creative audience i.e. architects and designers. Each issue features around 200 pages. Also features full text in English. Dentro Casa (DC) is an Italian lifestyle and decoration magazine focusing on consumer oriented stories by publishing realized products and projects, yet concepts and new designs from young artists could occasionally get featured. Each issue is around 225 pages, in addition to furniture designs, interior decoration and design projects could also be submitted. Casabella is an oversized Italian Architecture and interior design oriented magazine that publishes also the layouts of architectural and interior projects, features furniture design and interior decoration items as well as news in the building industry. Casabella is also published in Japanese. Each edition is round 100 pages. Case da Abitare, also features English text and is another prominent Italian magazines for interior lifestyle. Within this context, publishes news regarding interiors and products for interiors such as furniture designs, and decorative objects. Each issue is about 250 pages. On occasions could publish concepts but more likely to publish retail ready products. Case e Stili is a interior and lifestyle magazine that publishes interior design objects which could be purchased by lifestyle readers; i.e. the orientation is towards design buyers. Features also sections for decoration, and even fashion items. Showcases well decorated homes, interiors and garden designs but not architecture. Each edition is about 240 pages. Elle Decor Italia features English Text and is one of the most popular consumer oriented magazines for lifestyle, interior decoration and design. Each issue is around 350 pages and sections also include focus on different product typologies such as chairs, lightning etc. Compared to other lifestyle magazines Elle Decor Italia features more design, and publishes also modern concept designs. Interior projects are also mentioned. ofArch is an international magazine of design and architecture therefore featuring both architecture and design. The magazine focuses on architecture but also provides a great importance on interiors, product designs etc. Can publish concepts and products that are not related to architecture; i.e. gadgets etc could also be featured. Oriented towards a creator audience. Each issue is about 180 pages. Building components and materials could be sent to this magazine. 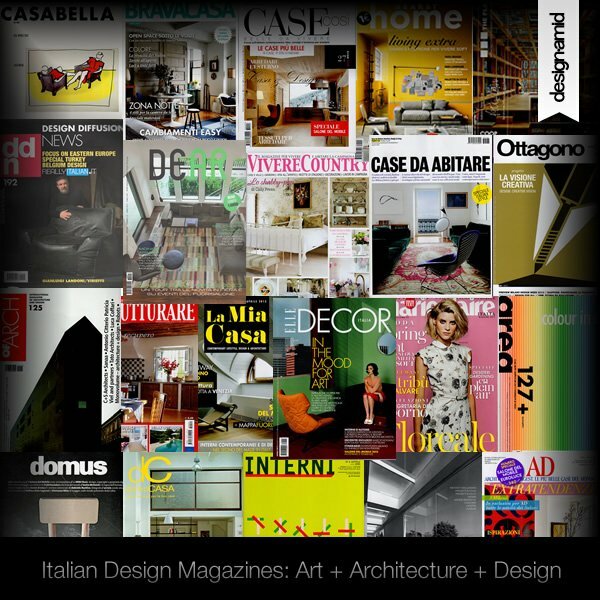 Abitare is one of the most prominent design and architecture magazines in Italy. The text is both in English and Italian. Features design news, reviews, artistic creations, artworks, concepts, furniture and decorations and interior design projects and more. Each edition is about 200 pages. 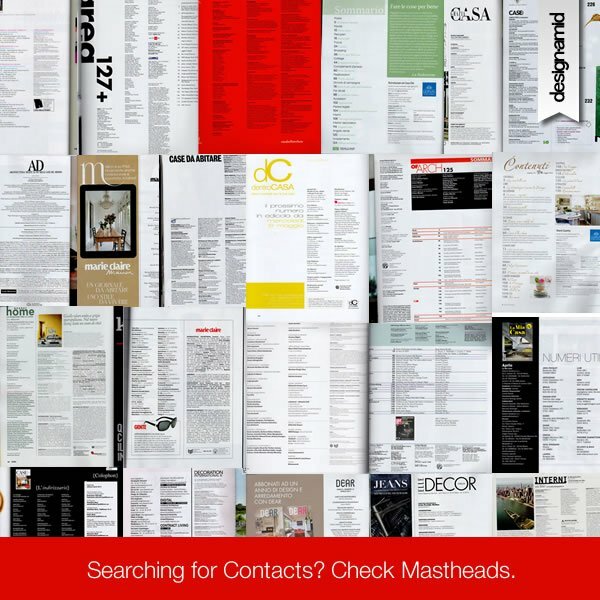 The orientation of the magazine is towards creators such as designers and architects. Marie Claire Maison is a lifestyle magazine oriented towards a luxury lifestyle buyer and consumer audience and of course women, therefore featuring both fashion news and home decoration tips as well as interesting interiors, furniture designs and decorative items, also features a section that publish trendy designs, gadgets and other pop-news. Each edition has around 175 pages. Bravacasa is a lifestyle magazine that features home interiors, furniture designs as well as gadgets, electronic home appliances, building or interior architecture components. While oriented towards a buyer audience, publishes also concept designs, design objects for decoration and fashion as well. Each issue has about 220 pages. Casa Vogue could be considered a spin-off of the Vogue magazine publishing lifestyle related articles but also arts and architecture news and of course some fashion designs. The audience is end-users i.e. consumers of lifestyle goods and services. Features also news on arts and culture, as well as interior designs. Each issue is about 150 pages. Domus is one of the most prominent design magazines not just in Italy but also abroad. Features English text. 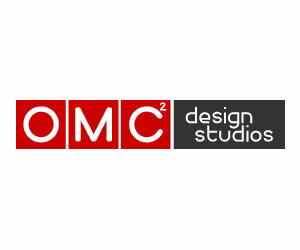 Oriented towards creators such as architects, furniture designers and interior designers, Domus publishes design news, architecture and interior works, furniture products and interviews with designers. Domus is oversized and features 150 pages, on occasion publishes concepts and artworks as well as art installations and other projects. Area is a magazine oriented towards a creative audience, features news regarding interesting and unique decorative objects design, lighting products, furniture, interior designs and decoration, and also has a section that features concepts, interesting product designs that are not interior related. Could also feature textiles, building components and others. Features also text in English. The magazine is oversized and features 120 pages. 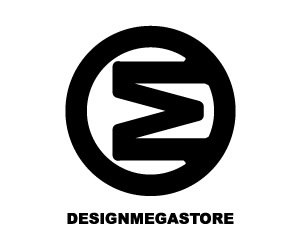 DDN - Design Diffusion News is an Italian design magazine that focuses on design in general therefore featuring not only interior objects but all sorts of designed objects, concepts, products etc including gadgets, appliances, graphics and art installations and more. Could also feature interior designs, yacht designs etc i.e. anything related with designs. Each issue is around 200 pages oriented towards creative industry and creators such as designers. 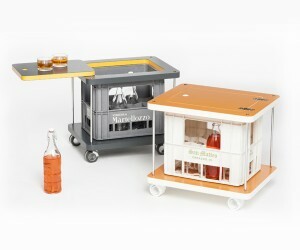 DEAR - Design and Arredo i.e. design and furniture is a magazine that is oriented towards both design buyers and makers, features interior design, furniture design (both finished products and concepts), and other items for home decoration. Furthermore, bathroom and kitchen designs could also be submitted. Each edition is about 150 pages. Others: Ristrutturare is a magazine oriented towards people who wish to redecorate or restructure their homes. Therefore features news and articles regarding home decoration, decorative items, furniture and art pieces, mainly focusing on classic style products and decoration. Features occasionally gardens and has sections for kitchen and bathroom products. Has 125 pages. __ Talea: is a specialized publication focusing on landscape design, buildings and architecture. Each edition is round 65 pages. Especially landscape architects, architects and building designers could send their projects. Does not publish furniture designs but on occasion publishes also interior projects when accompanied with architecture works. __ La Mia Casa: is a magazine that focuses on lifestyle, design and architecture issues, oriented towards a consumer audience. Publishes both modern and classical design products, interior designs and features a section for fashion and could occasionally publish design concepts of furniture and home decoration items. Each edition is about 100 pages. __ Grazia Casa is a lifestyle magazine oriented towards home decoration and luxury living. Both interior design and furniture and decorative items are mentioned. Usually highlights finished products. Each issue is about 300 pages. Would also focus interior designs, kitchen and bathroom products, as well as concepts on occasion. Oriented towards consumers. __ Vivere Country is a consumer oriented lifestyle magazine that shares tips for living, interior decoration, and publishes only products (not concepts) of furniture, decors, and occasionally fashion items. Usually rustic furniture and classical pieces get highlighted, thus colonial style furniture pieces and classical interior designs could be sent for editorial review. Each issue is about 125 pages. __ Hearst Home is a lifestyle decoration magazine that features mostly modern interiors, contemporary spaces and furniture designs as well as decorations. Has sections for kitchen and bathrooms. Each edition is about 200 pages. __ Case Cosi magazine differentiates itself by publishing more products, and occasionally design concepts. The magazine is about 100 pages and publishes content related to modern interiors, but also art installations and unique creations. Features sections for kitchen and bathroom as well as other rooms of the house. This article was added on Monday, 27th of January, 2014 at 05.26 am by author Onur Cobanli Tags: furniture design magazines, interior design magazines, italian design magazines, design publications in italy. Read our copyright policy here. » Baretto, the party maker!